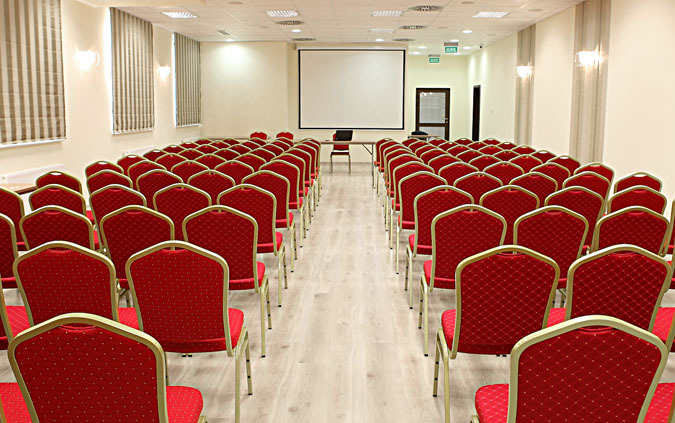 LOCATED IN THE CENTRE OF LUBLIN HOTEL FORUM FITNESS SPA&WELLNESS IS AN EXCELLENT PLACE TO ORGANIZE ANY TYPE OF CONFERENCE, PRESENTATION, AND TRAINING. Conference and banqueting hall,Viewing Hall,Vip Room.The rooms can accommodate from 10 to 140 people. Our professional equipment, skilled and comprehensive service, as well as extensive private car park guarantee a successful business event.